How many times do you charge your smartphone? Twice? Thrice? Well, you don't have to do that anymore. Here we will see Top 5 Android smartphones with longest battery life which are priced below Rs.10000. Go through the article and which one is your choice? Nowadays smartphone have become a part of our life. We carry it all the time. These devices do a lot, from voice calling to bill payment. We enjoy music, check mails, play games, watch movies, pay bills, social networking and the list goes on. With that much to do with our smartphones we have to make sure that it stays alive for almost a day. And for that your smartphone must have a long lasting battery life. Here in this article we will see some of the best Android smartphones that features long battery life which are priced just below Rs.10,000. The tech giant Lenovo is now the 4th largest smartphone player in the industry and they are bringing budget smartphones with great features. The newly released Lenovo Vibe P1m is one that should be mentioned here. The reason why we listed this device in our article is because of its battery capacity. It comes with 4000mAh battery and it is more than enough for you to keep your device alive for a day. There are so many Android smartphones with similar battery life in this price segment but the reason that makes the Lenovo Vibe P1m is that it comes with "Quick Charging" feature. Quick charging feature were only seen in high-end devices like Samsung Galaxy Edge and all and now Lenovo is bringing this feature in favor of the average class. The other features of the device includes 5 inch HD display with Gorilla Glass protection, Quad core 1GHz processor, 2 GB RAM, 8 MP and 5 MP rear and front facing camera. Another feature is that it is a Dual SIM 4G LTE device. The device is priced at Rs.7999 on Flipkart and is getting good feedback. This one will be a great choice of those who want the best for what they pay. Micromax, the company that made the dream of owning a smartphone a reality for the average Indians, are speeding up on the smartphone market by releasing Micromax Canvas Juice 3 Q392, which boasts a 4000mAh battery. The other features of the device are 5 inch HD display with Gorilla Glass protection, Quad core 1.3GHz processor and 2GB of RAM, 8MP and 5 MP rear and front facing camera. The device is 3G Dual SIM supported and not 4G. Comes with 8GB of internal memory and can be expanded with microSD card. The device is priced at Rs.7300 on Flipkart. It can be stated as the Micromax device with the most powerful battery. 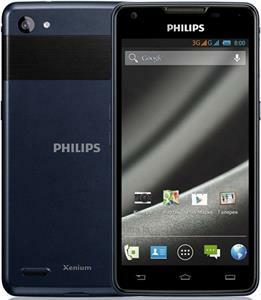 Philips are new to the smartphone market and now they have come up with a device which boasts a very powerful battery. The device is named Philips W6610 and it comes with an enormous 5300mAh battery. The device can give up to 2 days of continuous use. The other features are 5 inch display and there is no display protection installed. It is powered by 1.3GHz quad core processor with 1 GB of RAM. 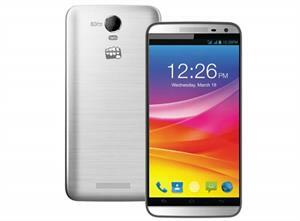 The device features dual shoots with 8MP on rear and 2MP on the front. The Phillips W6610 is priced at Rs.8299 on Amazon.in. Gionee the Chinese smartphone manufacturer is bringing their battery giant Gionee Marathon M3. It is the 3rd device in Marathon series which features long battery life. 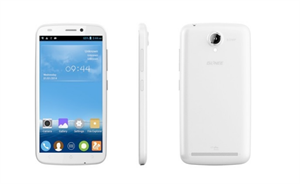 The new Gionee M3 comprises a 5000 mAh battery and is powered by 1.3.GHz quad core processor. It comes with 5 inch screen and 1GB of RAM. It has 8MP rear camera and 2MP at the front. The device is expected to give about 32h talk time. The Gionee Marathon M3 is priced at Rs.9999 on Flipkart. 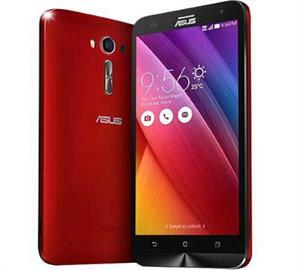 Asus is also a newcomer in the smartphone industry but the company's growth was really fast. And they have released a bunch of devices with a lot of features and are priced at a range that everyone can afford. Here we see Asus Zenfone 2 Laser. It comes with 3000mAh battery. Although the number is a bit low compared to the others but the performance of battery is comparable. The other features of the device includes 5.5inch screen with Gorilla Glass protection, 1.2GHz quad core processor and 2 GB of RAM. The camera is the best part. It is of 13MP rear camera with Laser auto focus. The front facing camera is of 5MP and is really good in taking selfies. The device is priced at Rs.9999 on Flipkart. The device is a good choice for a good camera smartphone with great battery. Here we saw top 5 smartphones under Rs10000 with long battery life and good features. All the devices listed are selected on the basis of reviews and feedback from customers. If you are looking for a budget Android device with great battery life, then this is the perfect place. Choose one that fits your pocket. Having better battery life, but no advanced features would not be something anyone would love to have. Your list concentrates on both features and battery backup. Of them, Asus Zenfone 2 Laser is a real gem in all the senses. It has an advanced camera in addition to the regular stuff we all love to have on our device. 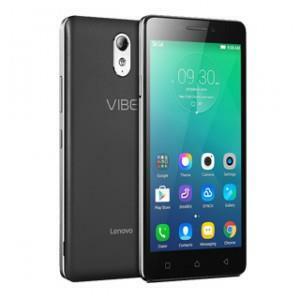 Lenovo has always been a great performer when it comes to making both worlds meet - their recent addition Vibe S1 is a real competition to the established players in the price band.